As Calgarians prepare to vote in an Olympic plebiscite on Nov. 13, the Calgary 2026 BidCo released a hosting plan concept on Sept. 11 to share more details with Calgary residents. Calgary’s Olympic bid came about a couple of years ago and was one of many issues heavily discussed in the 2017 municipal election. The Calgary Bid Exploration Committee was formed with leader Rick Hanson, former police chief. According to the Calgary Herald, in 2017 the committee had a budget of $5 million to help determine potential costs and infrastructure. 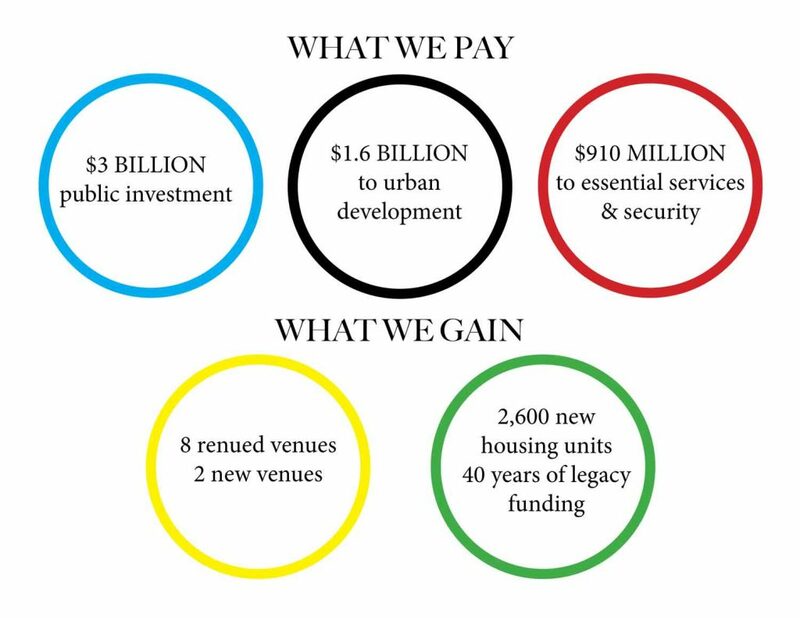 In June 2018, Calgary city council approved additional funding for further Olympic bid exploration. The Calgary 2026 BidCo was created to further the work of the previous committee. According to the Calgary Herald, Mary Moran of Calgary Economic Development, began her new position as CEO of BidCo to help develop the olympic plans with $30 million; she began her position on Aug. 13. Moran is the first woman to head an Olympic bid in Canada. In July 2018, city council announced a non-binding plebiscite to test the waters with the opinion of Calgarians. According to the City of Calgary social media, the plebiscite will be worded as follows: “I am for Calgary hosting” or “I am against Calgary hosting,” The plebiscite is scheduled to take place on Nov. 13. The plebiscite is non-binding so it will not be the final decision. City council can still approve or not approve of the Olympics after the vote outcome. On Sept. 11, city council voted to move forward with its 2026 Olympics bid after 2026 Bidco released their “Draft Hosting Plan Concept.” The hosting plan was created to “present the community with Calgary’s proposed bid framework for the 2026 Olympic and Paralympic Games,” according to BidCo’s press release. The plan explores new ideas and provides more information than what Calgarians have previously had available. The plan includes building new facilities, rejuvenating current facilities and outlines some spending projections. The Scotiabank Saddledome, according to the plan, will receive upgrades. “Enhanced accessibility of venue, extended life of ice plant, and mechanical [and] structural capital maintenance,” are all part of BidCo’s plans. These plans are coming after controversy about the Saddledome being the NHL’s oldest arena. The city and the Calgary Flames Entertainment Group held multiple meetings which lead to the Flames walking away from the table. While a new NHL arena in Olympic plans would be likely to intrigue the Flames organization, it is not discussed in these early plans. Upgrades are also proposed for the BMO Centre, The Olympic Oval, Winsport facilities and infrastructure projects in Canmore. The plans also include the building of two new facilities: a mid-sized community arena and a multi-sport complex. There are current plans that the community arena will be used as a legacy project for the University of Calgary Hockey (Dinos). As well as giving Calgary the “ability to host regional, provincial and national competitions along with touring concerts,” as stated in the hosting plan. Calgary will require housing to host athletes, media, security and workforce during the course of the Olympics. BidCo’s goal is to meet a need in Calgary for affordable housing. The plan includes affordable housing for seniors, Indigenous people and students. The hosting plan highlights that 2,600 new housing units will be built with more than 2,000 being in Calgary. Less than 20 per cent are market housing. What other housing is being built? The discussions have been based on “current inventory and future, planned housing projects …” says Veres. “We see Calgary as a future talent destination and having purpose built student accommodations is a big part of that,” says Veres. BidCo has now laid out their first rounded plans for hosting a 2026 Olympics. Soon Calgarians will be voting and we will be able to see how this plan develops and unfolds in the coming months and possibly in the coming years.